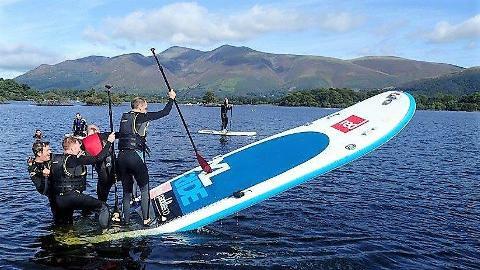 Based on Derwentwater, SUP for groups, Schools, Colleges, Scouts, Stag and Hen do's the list goes on. The session last 3 hrs and includes all the basics of or introductory lesson with fun games and challenges. 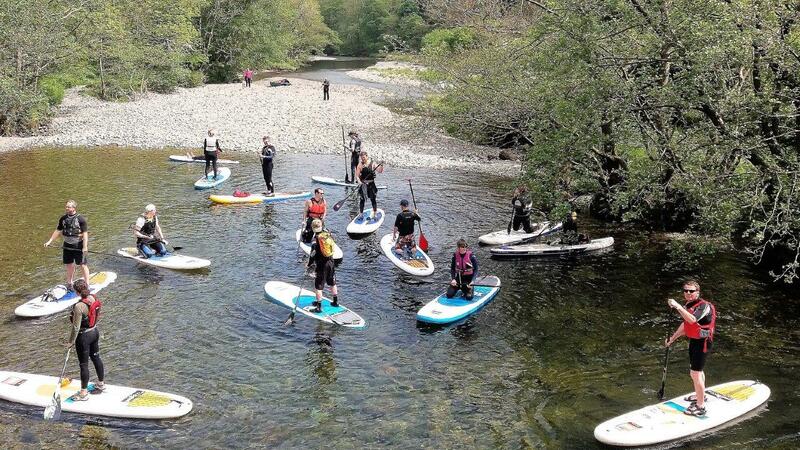 If you've not Paddle Boarded before its an excellent group activity, come and give it give it a go, it’s safer and more versatile than any other water sport and crucially, it’s cooler! 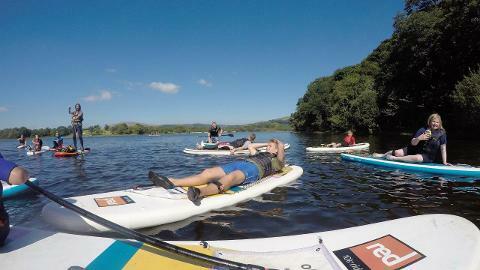 The session can also include use of the Monster SUP. It has the ability to hold 14+ people gives an added dimension to any group session. 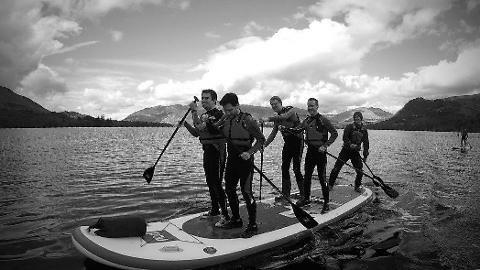 As part of the lesson each participant will be provided with Red Paddle Company Inflatable SUP board, paddle, leash and buoyancy aid. Wet suits can also be hired at an additional cost of £5.